the malaysian saint of the marginalised and poor – welcome! … who else but dr michael jeyakumar! FREE HIM! it’s troubling me that dr jeyakumar, MP for sungai siput and PSM member is still being detained (together with 5 other PSM members) under the emergency ordinance (EO). lately he was admitted to the IJN (heart institute) hospital… the second time. many people are concerned for his health. the PSM 6 were arrested, believe it or not, for waging war against the king. so ridiculous! dr jeyakumar is such a gentle person, he wouldn’t even hurt a fly! dr jeyakumar is very well known for his works among the poor, marginalised and down-trodden. yes, it troubled me a lot that such a kind person, almost a saint to the poor, is now behind bar. FREE DR JEYAKUMAR! i had met dr kumar a couple of times before… mostly through forums. once it was during the launching of his book (forgot the title). in 2008, i personally found out about dr jeyakumar’s good works, when one of our church group organised a leaders training session for us to get a first hand experience in interviewing the marginalised people in sg. siput, through dr jeyakumar. i blog about it here. met the estate workers, retrenched staff, orang asli, farmers…. all those that dr jeyakumar had helped. they all have high respect of dr jeyakumar and talked about him proudly. do go and read about the problems they faced. FREE DR JEYAKUMAR! it’s good to know that other PSM members had been holding candle-light vigil at bukit aman to call for the release of the PSM 6. i wish penang will hold one too. these 6 people had done nothing wrong and does not deserved to be detained. btw, i had sent two letters, one to the PM and one to the IGP to call for their release. have you? you should! 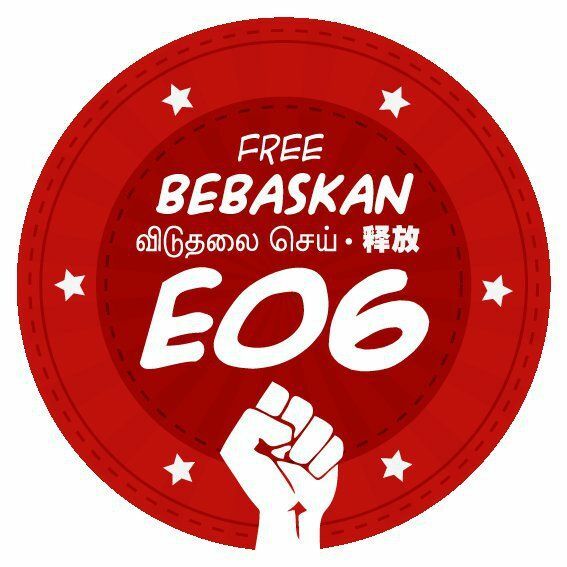 FREE THE PSM 6 under the EO!! I am writing this urgent letter to all Malaysians to be aware of the suffering that all the 6 PSM members are going thru . Isolated from loved ones and family they will have to beg to go to Toilet , or shave or bathe and hence the mental torture starts .I am writing on behalf of Dr Jeyakumar as I am a part of his family .I hope and trust that the family members of the others will start writing too to urge people not to stand for the utterly stupid charges against the 6 .If in fact there was a T shirt or poster of ” former ” CPM leader Chin Peng , how is it wrong . ??? The National Libraries and most libraries in Universities have many books on communism for reference and reading . There are even books with his pictures as well as other involved in the struggle at that time. Is Hishamuddin going to remove all reference books in all the libraries ?? Is he going to have all the Librarians arrested or having reference material on communism ?? Hishamuddin calls the Bersih Rally illegal and as such justifies the wearing of bersih T shirts illegal also and had the 30 peole arrested . If so , the Perkas rally and UMNO Youth rally was also illegal , can we assume as such that wearing Parkas shirts and UMNO Youth Illegal . Hishamuddin is the most shameless politician for using such a stupid comparison . He takes us ordinary Malaysians as stupid but we have to show his in a clear, non violent and reasonable way that we will not accept this action . I know Dr Jeyakumar personally . His father is also a doctor. Let me first tell you some childhood stories that will capture your imagination of this simple yet strong willed but gentle person . In his teens One day he went to to town to buy some items . He simply wore slippers and told his mum that he will be back later .A few hours later he called and asked his mum to please come and fetch him back . His mum was busy and asked him to take the bus but he pleaded with her to just come this time . She relented and went to pick him up and found him without slippers !!! standing on the inside of the pavement in a shop away from the heat of the midday sun . Looking relieved he quickly jumped into the car . People had been staring at him whenever they passed by and wondering what was wrong with this boy . In the car he explained that he saw an old man shuffling about without slippers and could not stand it anymore and just gave him his own slippers to walk . Only after doing that he realised that the pavement was very hot and couldn’t walk to the bus stop and also was receiving strange stares from passerby and decided to call his mother. When he was in University Malaya he constantly involved himself in the plight of the estate workers . I know personally of how he started tuition classes in many estates from sg Siput to BUTTERWORTH for poor students during his semester breaks. His legacy still continues till today with Indian students still sacrificing their important time during their breaks to tutor underprivileged students in estates till today . When he became a doctor , he requested his posting to be in Sarawak interior where many places had no electricity and reachable by boat to treat orang asli and start education programmes for kindergarten aged children . He stayed for many ,many years in Sarawak doing selfless work among the poor and destitute . Once when I was in Ipoh few years ago ,way before he became Member of Parliament (and like David beating Goliath – won the Parliamentary seat from Samy Velu) saw me and asked me if I was free . I replied that I was and and in the night approx 9 after he had finished his hospital rounds picked me up and we drove many miles and reached a large squatter area . The old blue rickety Volkswagon tumbled and tossed in the uneven mud road and there were no streetlights at all and we ere driving in the dark . After a long time we reached a broken down hut and inside was an old Indian lady on a makeshift bed . Dr Kumar listened for a long time to her crying and after sometime he gently talked to her and gave her some painkiller injections and she soon slept off . On the way back he told me that she was in the end stage of her cancer and was dying and in so much pain . He made this trip twice or 3 times a week as she could not come to a hospital for pain medication . I sat quietly reflection how much just one person can do and how we who are so blessed do so little . Dr Kumar is my cousin and I am proud to know him . !!! My relationship throughout the years have enriched me tremendously. I hope that reading this that you will not believe the lies that the mainstream newspapers is trying to tell you . All of the 6 deserve our support and love – more so at this time , This is my simple testimony . I am sure that many , many more people will be able to share more experiences that they have had with Dr Kumar . His gentle heart , his ready ear for listening even to the smallest complaints . I am enraged that they have locked him up without his seeing his wife and son and parents and friends. It is said that h is in solitary confinement . His 19 year old son who was also on the bus was arrested with him and kept in the lock up . Please read and pass to friends if you can . Remember – All it takes for Evil to Triumph is for good people to do nothing !! Dr Jeyakumar Devaraj, or Kumar as I call him, is a public figure of enormous stature. Very much respected for his achievements and contributions to medicine and public health in Malaysia, he was the recipient of the Malaysian Medical Association’s 1999 Award for Community Service.As a government physician, Kumar served many years in hospitals in Penang, Sarawak and Perak, and chose optional retirement when he ran in the 1999 general elections. In addition, Kumar is a tireless social advocate and activist. Kumar and I were classmates from Form 1 to Upper Sixth Form in the Penang Free School between 1967 and 1973. In subsequent years, while we attended universities in the United States (and, for Kumar, Universiti Malaya as well), and after we began our own careers, we maintained frequent, though irregular, contacts. Some people may think of the dispossessed and marginalised communities as simply being ‘unfortunate’ in that they have neither benefited from booms nor been protected from slumps. Others consider them to belong to the past – to sunset sectors and redundant labour ready to be dumped by globalisation’s sunrise industries, new technologies and emerging divisions of labour. I believe Kumar’s reply would be: the history of marginalisation covers the past, present and future. If our economic system and structures of power are not significantly changed (for the better), then we already have a very good idea of how an entire developmental process will reproduce our treatment of the marginalised of the past and present as our treatment of the dispossessed of the future. Precisely for the above reason, one has to understand and act. Kumar’s insistence on uncovering the roots of economic deprivation and his refusal to rationalise away the causes of social injustice supply the radical edge to his activism. Above all, it is Kumar’s willingness to do something about the injustices he encounters, and to do so here and now, that is the hallmark of his blend of personal conviction, intellectual criticism and activist intervention. Kumar spent seven months in Kuching, and then requested a posting to Kapit, a ‘more rural, more remote’ location. That was in 1984, and Kumar was stationed there for the next one and a half years. Kapit was remote – ‘the last boat for Sibu left at 2pm and you couldn’t send any patient to a bigger hospital after that’ – and ‘challenging for someone in his third year out of medical school’. The doctor in Kapit had his or her hands full since, for instance, ‘one had to do surgical procedures even though one wasn’t a surgeon’. But one had considerable freedom, and there was the chance of working with the Flying Doctors Service that sent doctors by helicopter to clinics in the remote interior twice a week – a service that Kumar praised. Kumar found his posting in Kapit and his experiences with the Flying Doctors ‘very challenging’. Besides the medical work – ‘immunisations, examinations, treatments’ – there were opportunities to observe at first hand even more remote areas, around Belaga, for example. Kumar saw ‘areas that had been logged’ but noted that in areas that had not been logged, the ‘waters were still blue’ and the ‘rivers full of fish’. Being a doctor in those remote parts – ‘a very high position’ – and especially being the humble, likeable and curious individual that Kumar is – opened doors, brought invitations and eased conversations. Kumar could talk with people from all walks of life – longhouse residents, headmen and logging camp managers. He asked questions and made comparisons: why were there ‘more cases of protein malnutrition in logged areas’ in contrast to unlogged districts whose rivers were ‘still blue’ and ‘full of fish’? Kumar heard stories and made connections: how could it be that ‘six villages unsuccessfully applied for land for 20 years, while local politicians obtained logging concessions which they passed onto businessmen, in return for royalties and payoffs? He was shown letters by headmen, and maps and data by camp managers, and drew his own conclusions. Towards the end of his Kapit posting, Kumar was sometimes worried, ‘even paranoid’. The stories he had heard and the things he had learnt were politically ‘sensitive’ and potentially damaging to people with vested interests. Nonetheless, he wrote about the effects of the Batang Ai dam construction on longhouse residents, logging accidents ending in terrible injuries or fatalities and suspected corruption in the awards of timber concessions to the politically influential and commercially powerful. Kumar would be the last person to romanticise the things he did while he was in Sarawak. I have related Kumar’s Kapit experience at some length because it shaped his modus operandus, which was to detect the ‘social dimensions of health’, when other similarly conscientious and caring doctors would have contended merely with medical problems. Re-posted from Kapit to the District Hospital in Teluk Intan, Perak, Kumar treated a number of cases of beri beri (thiamine deficiency) among migrant workers of East Timorese origin and especially among those detained in immigration detention centres. He sent letters to the Health Ministry, general hospitals in Ipoh and Kuala Lumpur, and to all government clinics and hospitals located close to said detention centres to alert them and to ask for feedback. Subsequently, ‘sad to say, a spate of beri-beri deaths in the Semenyih Camp was exposed by Tenaganita in 1995’. In a replication of his work in Kapit, Kumar established connections between the medical and the social problems of the Orang Asli. Working in a state which has one-third of the Orang Asli population, Kumar called on healthcare professionals to understand that the ‘health problems of the Orang Asli are but the epiphenomenon of their progressive marginalisation’, and to ‘urge a strict prohibition of all economic ventures that impinge adversely upon Orang Asli’. As a chest physician in Ipoh Hospital, Kumar wrote of the ‘increased transmission of tuberculosis in Malaysia and the weakening of the existing TB control programme’. This was an unfortunate development because the incidence of TB in Malaysia had fallen from more than 150 cases per 100,000 people in 1960 to 61 cases per 100,000 people in the late 1990s. The re-emergence of the dangers of TB transmission was definitely linked to the ‘cramped and unhygienic living conditions … malnutrition and heavy physical labour’ that contributed to the ‘reactivation of … latent TB’ in poor migrant workers. But Kumar also traced it to the deleterious outcome of ‘the government’s fascination with corporatisation and privatisation’ which would sacrifice ‘one of the few success stories of TB control in the Third World’ at ‘the altar of market economics’. From these kinds of positions, it was a small step to critiquing the dangers privatisation posed to the state of public health services. 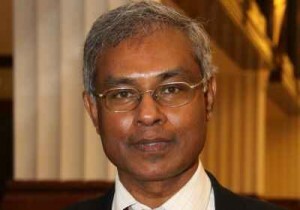 Together with his medical colleagues in public hospitals and NGOs, Kumar organised opposition to the ‘corporatisation of government hospitals’, ‘the privatisation of the Government Medical Store’, ‘the dismemberment of the Malaysian health services’, et cetera, each time making linkages amongst health services, economic policies and political priorities. It was not the first time that a medical doctor, with primary responsibility for the treatment of the human body, came to be just as involved with the reform of the body politic. Of course, there have been doctors before, indeed other professionals too, who, while devoted to their areas of specialisation, have found it impossible to resolve their concerns without referring to ‘society as a whole’. They began as technical experts and ended up as social critics. But this tradition of integrating social criticism with professional work has sharply declined. I cannot imagine that Kumar would regard his experiences to be unique. But I think of Kumar’s approach as being different from that of the ‘public intellectual’ who first picks a cause, an issue or a concern – human rights, the environment, consumer protection – and then adds said cause to his or her intellectual pursuits. For Kumar, professional work, intellectual criticism and activist mobilisation were inseparable, wherever he found himself. As so often happened, such a critical and activist approach led directly to ‘politics’, as most people would understand the term. An outsider who wants to be a credible organiser among marginalised communities must have several virtues, among which are an ability to render needed services and a readiness to stand by people in times of trouble. The story of Alaigal is a case in point. Alaigal was founded by several social activists, including Kumar and his wife, Maharani Rasiah, an activist in her own right, after they had worked with five estate communities in Sungai Siput for several years. Alaigal is a community organisation that grew out of years of selfless, voluntary services that won the confidence of workers and their families. Initially, the main form of service was educational in intent and approach – the activists held extra-curricular tuition classes to improve the academic performance of estate children. There was then a strong sense that educational achievement, family-supported but individually attained, was the answer to the poverty prevalent in the mostly Indian estate communities. But the workers, their families and communities also made wider connections – between, say, their children’s low educational attainments and their income levels and housing conditions. They began to understand that, if their children failed to make the cut, the failure was not theirs and theirs alone, which was what certain organisations argued. In short, the communities discovered ‘structural’ problems – their ‘unfavourable’ position in the economy and society – and this realisation helped to alleviate the ‘blaming-the-victim’ syndrome under which they had laboured for generations. Around 1993, a network of likeminded NGOs, including Alaigal, began an estate-based campaign to upgrade estate living conditions. The main demand of the campaign was that the government should categorise estate quarters as ‘rural’ so as to bring them under the responsibility of the Rural Development Ministry. In this way, facilities and utilities provided to traditional kampungs could also be enjoyed by the estate population. 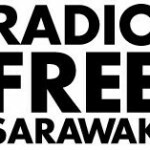 The campaign actively sought to make these issues known to Malaysian society at large and to obtain public backing via petitions, postcards and other forms of publicity. At the end of 1994, a second campaign was launched to ask Barisan Nasional as well as opposition party candidates in the 1995 general election to include the demands of the estate communities in their election pledges. These campaigns brought estate problems to national attention. But, apart from causing a shift of official responsibility for estates of less than 1,000 acres from the Labour Ministry to the Rural Development Ministry, the campaign brought no tangible benefits to the estate communities. In 1996, another campaign was initiated to demand monthly and minimum wages for estate workers across the country. Accusations of outside agitation always missed the point. It was never a question of anyone brainwashing entire communities. The estate communities did not lack self-reliance or independent thinking. They organised themselves and mobilised to overcome shared obstacles. They networked with groups having similar concerns. The wage campaign networks stretched from Kedah to Negeri Sembilan and, at a critical point, sent 1,000 workers to gather before Parliament. Other voluntary organisations had previously helped estate communities to articulate their grievances and problems. But powerful commercial and political interests were alarmed when the communities moved beyond a narrow focus, say, on education. And then the vulnerability of marginalised communities became evident: again and again, their activities were paralysed by overt and covert police action. The ‘coalition of the marginalised’, as Kumar called it, expanded: estate workers, urban pioneers, Orang Asli, displaced vegetable farmers, retrenched factory workers, van drivers facing harassment from the authorities, stall owners threatened with eviction, and others. The point was that ‘our team had a lot of credibility’ for being ‘sturdy and reliable’ and ‘people trusted us; they knew we would not leave them when the going got tough’. Soon ‘people stood by us’ because ‘we had stood by them’, and a very helpful network of the various groups was established. One might call this approach a non-standard way of entering politics. Kumar did not become a politician by joining a party, accepting its programme and obeying its leaders’ instructions. From Kapit to Sungai Siput, Kumar was compelled to address real situations and genuine difficulties experienced by different communities of people. For a long time – and even now – his politics consisted of learning from these people, offering them a voice, solidarity, and setting an example. In the context of the 1990s, that seemed to be the most sensible way of struggling for social justice. But notwithstanding the apparent triumph of global capitalism, Kumar and his friends decided that questions of ideology could not be simply set aside. They, and Dr Mohd Nasir Hashim (right) and friends, believed that socialism should remain the alternative to capitalism. At the same time, the ‘grassroots’ pushed for a party, ‘our party’ – ‘instead of always supporting the opposition parties’. That was how Parti Sosialis Malaysia (PSM) came to be formed. For 10 years, the government refused to register it as a lawful political party. Characteristically, PSM took the government to court. Kumar is realistic: PSM has ‘no ghost of a chance of forming a government’. But the unlikelihood of a grand triumph should never stop anyone from posing alternatives to injustice. In this case, Kumar and his friends pose socialism as a moral alternative to BN’s unfettered capitalism that has undermined what had been ‘an equitable healthcare system’, and other improvements to social services and social security that had provided significant benefits for common working people. To me, that is a responsible assessment of current political realities in Malaysia. More than that, such an assessment affirms the core of Kumar’s politics. I am not suggesting that Kumar embarked on his activism with no more than goodwill. When he started, he already possessed more than an intelligent grasp of political economy and socialist theory. However, his socialism was never based on doctrines, abstractions and propaganda. Today, Kumar ‘speaks truth to power’ with the kind of courage and sincerity that Malaysian politics has rarely seen with the passing of Dr Tan Chee Khoon, himself a labourite and Christian. At heart, Kumar’s socialism derives inspiration and sustenance from the moral principles, values and examples of ‘liberal Christianity’ that were, to put it simply, ‘found at home’. These were the moral principles and ethical values of the Devaraj family – Dr T Devaraj and his wife, Elizabeth, and their children, Kumar, Sheila, Rajen and Prema, and their spouses. Those who know the Devaraj family are aware of how its principles and values have been expressed in a long list of social commitments: National Cancer Society, Hospice, Children’s Protection Society, Aliran, Women’s Crisis Centre, et cetera. With his family, Kumar shares a humble yet compelling combination of moral conviction, professional dedication and social duty. The combination expresses itself now in social work, now in activism, and, when the times call for it, in politics, too. In it, you and I will not find sectarian tendencies, or dogmatic dependence on ideological lines, or textbook fetishes. Nor will we find arrogant and easy assumptions about what to do with the lives of people with whom one finds a comradeship of humanity. Instead, we will discover a deep and intuitive awareness that marginalised communities live in our midst, dispossessed by progress, expropriated by capital, and neglected by the state. Is that enough of a summons to a struggle for justice? For Kumar, it is. And if he calls such a struggle for justice ‘socialism’, who are we to differ? KHOO BOO TEIK is the author of ‘Paradoxes of Mahathirism: An Intellectual Biography of Mahathir Mohamad’ and ‘Beyond Mahathir: Malaysian Politics and its Discontents’. The above is an abstract from an introduction by Khoo in ‘Jeyakumar Devaraj, Speaking Truth to Power: A Socialist Critique of Development in Malaysia’. Jeyakumar, Sungai Siput MP, is currently being detained without trial with five others under the Emergency Ordinance on suspicion of “causing civil unrest by any means”. 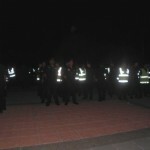 1blackmalaysia today… and if you wear black, you’ll be arrested! 2 Responses to "the malaysian saint of the marginalised and poor"